Who remembers the mo ie Lady Hawk? I remember Lady Hawk. Fabulous movie...considered the 'sleeper' of it's time. Not advertised much or talked about until after it was released and seen by many. I remember Lady Hawk!! Love that movie. She is beautiful, just like her Mommy. We now have a Princess! Zenyatta video from a few years ago......enjoy. Zenyatta is very loved by her owners, trainer Lane's End Farm﻿ and of course her Fans! @GloriaJeanneOCCali A thousand thanks for posting the link!!! It's a fabulous video. I enjoyed it so much!! Oh, I loved the movie Lady Hawke! It's one of my favorites and that would be a great name! Could go with Izabeau. One word, feminine but at the same time strong and has the Z in it. 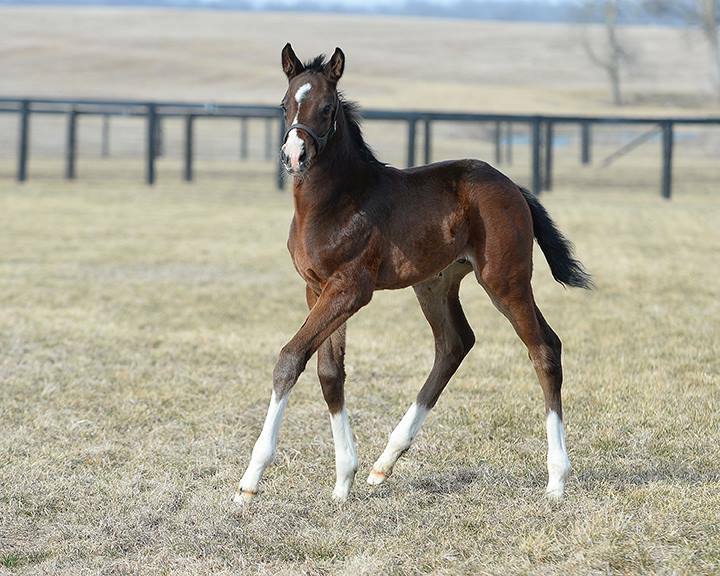 She is a beautiful filly I hope they post more pics of her soon... does anyone know where I can find some more? Ooh Ooh! I like that!!!! Glad you all enjoyed the video. Oh yeah, I love Izabeau! That would be perfect! Thanks so much for posting it! I was having an off day and this just made it a whole lot better! Thank you!!! That name suggestion is growing on me bigtime!! Oh I loved that movie. Bet I have watched it 20 times. TVG had people tweet in naming suggestions for Z14 yesterday. Some of them were names people on here had thought of long ago, others were completely out of the box weird. Even Rich P. suggested World War Z and Matt C. praised his genius, as did other tweeters. *eye roll* We thought of this months ago. Someone even said Zena Warrior Princess, somebody on here, maybe...... Someone else said Yahtzee.....really? And why? I like our names better. But, I'm sure the Moss' has had a "girl" name picked out for awhile now. She is sooo cute! You can tell she is a little girl, with her long eye lashes. The picture of Ann with Z and the baby is my favorite. You can just see the love Ann has for Z and her little girl. Wonder on which foot the white sock is on? In the leaked picture the only leg you can't see is the back right. I think the sock is on that leg, because all the other legs look brown. She is a beautiful filly! I hope they call her Princess Lilly for now. Not Z14 Photos. 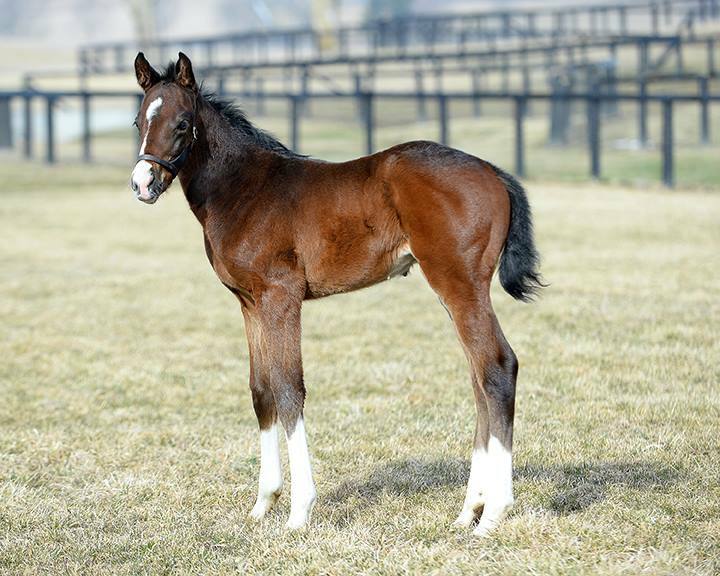 But these are the type of new foal photos I hope we get. Does anyone else hope we get similiar photos of Z14 soon?